* Unison - DP800, 600, DP1000. * Lithonia - EMB-OPS-6401, ELB0605, EMBSC06042, H2NSIR, LL-LC-BE-2, XS1REL. * National Power - GS012PS, GS012PS6. 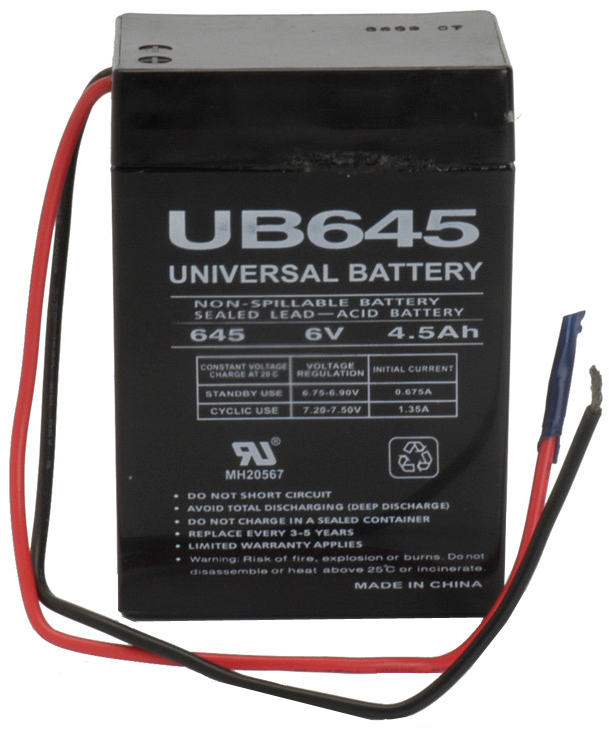 * BB Battery - BP4-6. * Elan - 1MB6B, 1MB6V. * Mule - GC642, PSX120. 2.76" x 3.98" x 1.85"